HomeBlogWhat is a Warranty Deed on a Home? The warranty deed legally transfers ownership of the house from the previous owner to you. If you’re purchasing a home, the warranty deed is an essential part of the document package you sign during closing. Understanding what a warranty deed is, who holds it, and how this can affect your claim on the property is important. Like other types of deeds, this document establishes the right to ownership and if it is not correctly executed, you could run into trouble down the road. What Does the Warranty Deed Provide? 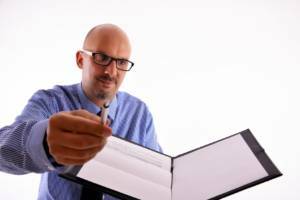 The warranty deed establishes several key factors for the individual or company that holds it. If you have a warranty deed, you are the legal and rightful owner of the property. The deed establishes that the property is free of any other claims to ownership. It’s called a warranty deed because the seller of the property ‘warrants’ that he or she is the sole owner of the property and that there are no liens or other claims on the property. If any breach of these warranties takes place while the grantor is in possession of the deed, he or she is responsible for them. You can claim for compensation in that case. Once a warranty deed is successfully transferred to your name, you will have all the necessary documentation to assert that you have sole ownership of the property if anyone tries to make a third-party claim. What’s Included with a Warranty Deed? Carefully read through the warranty deed to make sure it has all the appropriate details. Errors here will cause a major headache if they’re discovered later. Warranty deeds for different types of property might identify the property in different ways depending on where it is. In some cases, only part of the property might be warranted. In that case, the rest will be covered by a different type of deed. Warranty deeds typically come with title insurance. This protects the grantee against any disputes over ownership. When granting title insurance, the insurer performs a comprehensive search for any other claims on the property. Simply opting for insurance is a good way to check for any other documentation that may indicate the property is not free for sale. A special warranty deed transfers ownership of the property with fewer guarantees. This type of deed warrants only that the property had no other claims at the time the grantor owned it. If there are claims to the property that predate the grantor’s ownership, these are not covered. If you face other claims to the property at a later date, you won’t have the same legal standing or protection with a special warranty deed that you would enjoy with a standard warranty deed. Special warranty deeds are typically used for commercial property. A quitclaim deed is similar to a warranty deed but offers no opportunity for legal recourse regarding property issues. If there is an issue with the home or land, you cannot take action against the grantor. Quitclaim deeds are typically used for heirs and beneficiaries. When property is inherited, this is the appropriate document, as you cannot take action against the deceased property owner. You might also use a quitclaim deed when transferring ownership among living family members. You might use this to add or remove names after a marriage or divorce. You should still be very careful in this situation. You should be confident that the grantor is the legal owner of the property and has the authority to transfer the deed. How Does My Mortgage Impact My Warranty Deed? When you purchase property, the previous owner will transfer the warranty deed to you. However, if you’re paying for your home with a mortgage, as most people do, the warranty deed is not free and clear. The mortgage company has a claim on your home. If you attempt to transfer the deed to another individual without paying off the mortgage, this will come up in the title report. You must deal with your mortgage appropriately if you move to sell your home. A warranty deed is a valuable document that proves your claim to a piece of property and you need to take care that it is kept safe. It is basically a legal promise from the seller that your home is yours but it is important to remember that it is not a contract. 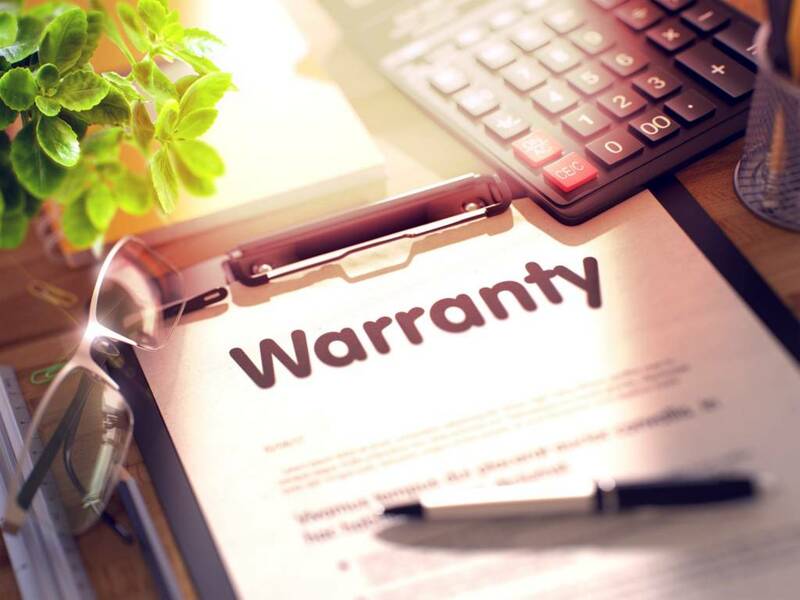 Unlike a warranty deed, a home warranty is a contract that promises to make sure your home systems and appliances are running smoothly as long as you meet the conditions of the contract.